Choosing between the many used car dealerships in Tucson can be a bit overwhelming, but once you see the impressive lineup of affordable and dependable used cars for sale at Cactus Jack’s, the case is sure to be settled. At our Tucson location, we’ve got a car for every lifestyle, including used sedans, trucks, SUVs, and more–including models from popular manufacturers like used Fords, used Chevys, and used Toyotas. And on top of that, we make it easy for you to get a used car loan–even if you have bad credit! 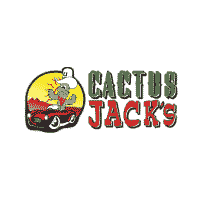 Find the Used Cars Tucson Drivers Want at Cactus Jack’s! Looking for a bad credit car loan in Tucson? Cactus Jack’s has you covered! In addition to our impressive pre-owned vehicle inventory, we make it easy for all our customers to quality for financing. You’ll also enjoy our $500 down payments, as well as our “Buy Here, Pay Here” plan. Stop by our Tucson dealership on E. Speedway Boulevard today, or give us a call to find out more at (520) 327-5225.